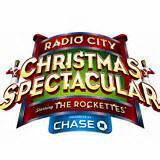 The 2015 Radio City Christmas Spectacular will take place from November 13, 2015 through January 3, 2016 at Radio City Music Hall®. This holiday show is a one-of-a-kind celebration for family, friends, and loved ones. Share in the joy with the Rockettes®, Santa, the Nutcracker, and the unforgettable Living Nativity. No one does it better than the Radio City Christmas Spectacular! Every year, the Rockettes push themselves further to put on a show that’s more dynamic, more challenging and more magical than the last. Take in cherished moments and create new memories..
Click link above (if appearing) to view additional dates for this performance. Tickets offered here are provided by TicketNetwork, Inc., providing personalized customer service, cutting-edge security, and a 125% money-back guarantee. For more info, visit the TicketNetwork Website.